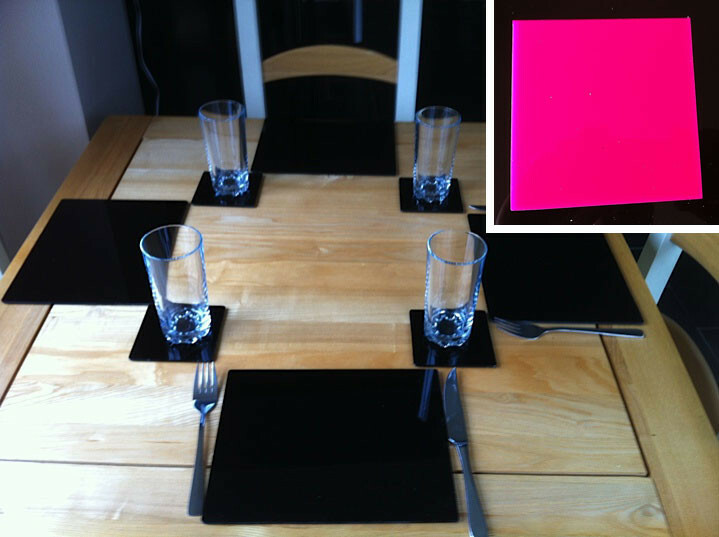 These lovely pink Perspex placemats come in a set of six. They are hand-cut with the points removed from the corner. Each mat and coaster have clear PVC feet to hold in place. The place mats are 200mm x 250mm in size, and the coasters are 100mm square. Available in a range of vibrant colours.